This is a BD-QuickPlay title! BD-QuickPlay titles are High Definition movies (1080p unless otherwise specified) on DVD discs. To ensure quality, there are no menus or special features, but there may be extra audio languages or subtitles. You will need a Blu-Ray player, Playstation 3 or PC equipped with HD player software to watch these. This is a QuickPlay title! QuickPlay titles are basic editions of a movie with no menus, no subtitles, just the movie itself. Video and sound quality may be slightly imperfect too. The sold-out concert event that rocked the nation is bursting onto Disney DVD for a limited time only in a two-disc extended edition with a concert experience so real it's like having a backstage pass! 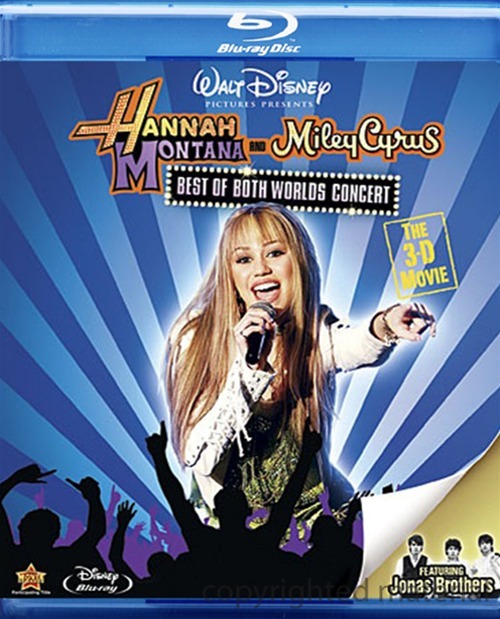 "Make Some Noise" and get ready for the year's most eye-popping, dance-in-your-seat experience with Hannah Montana & Miley Cyrus: Best Of Both Worlds Concert Movie!